Babyproofing can be tricky at first – understanding what you’ll need to protect your child, home, and your belongings. I’ve been through babyproofing with my five boys, now, and I can’t wait to share my tricks of babyproofing against a toddler. I have a 21 month old right now. He gets into absolutely everything if it’s not secured away up out of his reach or locked. 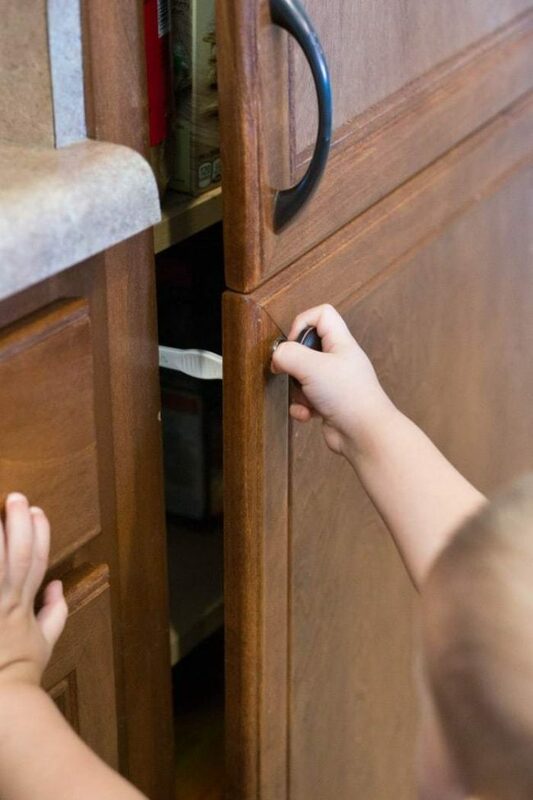 Toddlers are incredibly smart and won’t give up trying until they’ve figured out our best babyproofing tricks, but these simple fixes have made a world of difference in keeping my boys safe. I received compensation from Jet.com for this post. All opinions are my own. September is Child Safety Month, so it’s an important time to assess your home and what items you may need to keep your children safe. Even if your baby isn’t quite toddling around into everything yet, you can shop for the gear to help you get ready for the change as it happens quick once they figure out walking! Jet.com has everything you need to babyproof your home and give you the peace of mind you’ll need when raising your busy toddlers. 1. Gate the Door Jam – When the weather is wonderful outside, I love to prop open my front and back doors to let in that gentle breeze and fresh air. It changes the whole feeling inside the home. It’s easy to open my back sliding door as we have an attached screen door, but my front door we don’t have a metal security gate or anything else to protect my little one from escaping. No fear, though, it’s a super easy fix! Just prop up a tension mount baby gate in the door jam and you can now enjoy the breeze and not fear your child escaping. I’ll also do this for rooms inside the home I want to be able to keep open – like our office – but that I can’t allow my toddler into because of the stuff he would be able to get into. 2. Lock the Inside Door Handle – My toddler switched over to a toddler bed at 15 months, and did wonderfully with naps and bedtime in his “big boy” bed. 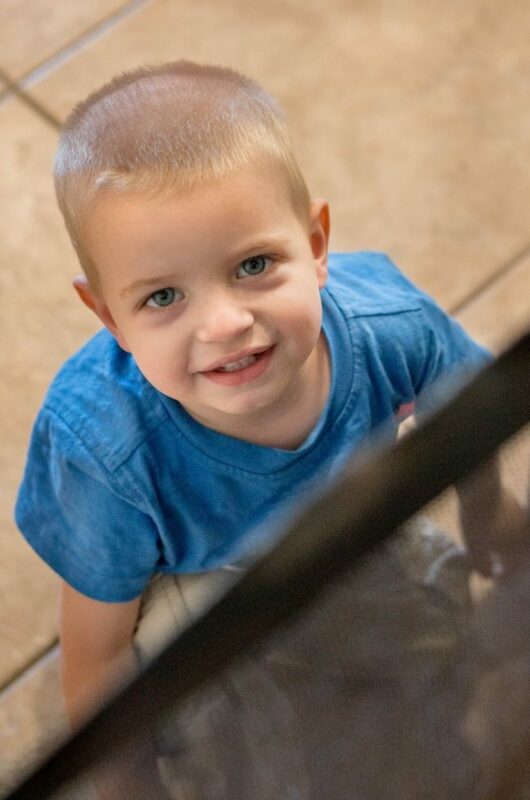 But once he was able to turn the door handles at 20 months, everything changed. That is, until one simple switch changed everything! We just installed a door knob cover on the inside door handle and we were back to no more fussing about bedtime and naps! It’s such an easy fix, but it literally took me until my 5th child to figure out this babyproofing trick! I love that we can all very easily enter the room, but he can’t make his way out when it’s time for naps. 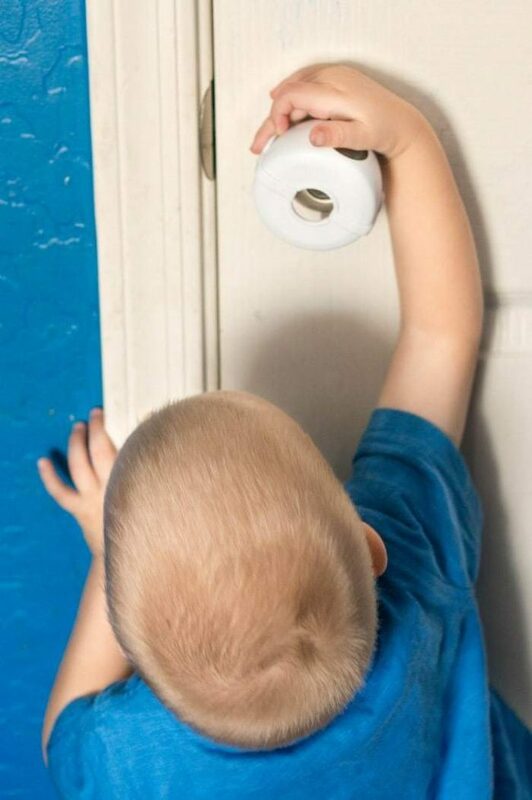 You’ll want a whole bunch of door knob covers – we put them on closets, bathroom doors, and any other rooms in the home we don’t want our toddler to get into. 3. Store Your Safety Plugs – One of the first things you think of when babyproofing is protecting the outlets from little fingers, and whatever they’re trying to jam in there. But sometimes outlet plugs are easily lost when you go to plug something and don’t have a good place to stash them. Even if you put that plug immediately away somewhere you’re sure to find it, it’s not very likely it will get returned to protect the outlet when that item is unplugged. Did you realize you can store the outlet plug right on the plug itself? 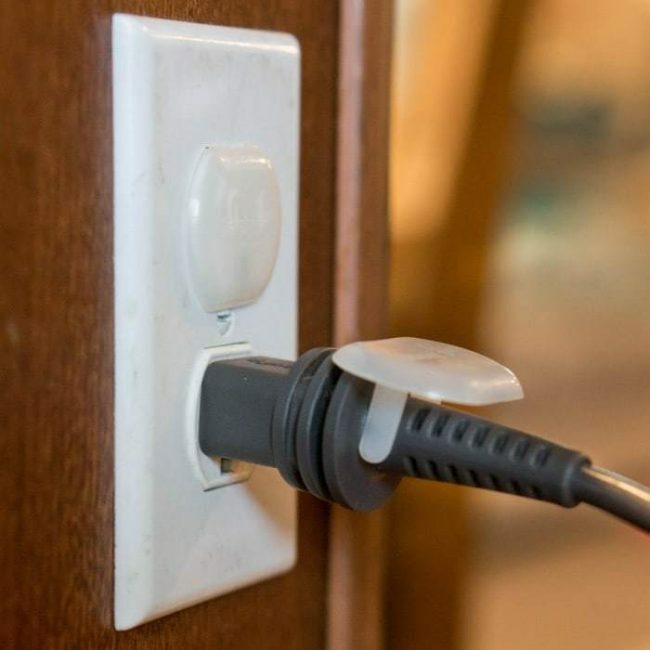 Mommy’s Helper outlet plugs are a perfect fit for attaching to the plug to store it until you’ve finished the task! 4. Choose a Dropside Crib Bed Rail – Forget the expensive toddler bed conversion kits that are sold with your crib, you don’t need something so fancy, and pricey, to turn your crib into a toddler bed. 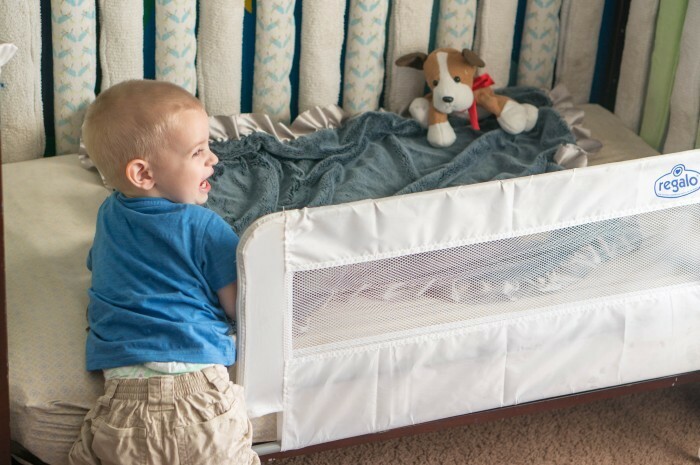 Just attached a convertible crib bed rail and your growing toddler will be able to get in and out of their bed without help, saving your back from all that lifting! Bonus: This style of crib bed rail can also swivel down and out of the way so it’s super easy to change sheets! 5. Look for a Wall Attached Gate – One of my very favorite items in my home for babyproofing in our wall-attached baby gate. We installed it blocking off the hallway, which makes my son have a limited area where he can room as it blocks off all the bedrooms and bathrooms on that side of the house. Having it already attached where it’s needed means I don’t have to lug it in and out of storage every day. He’s left with lots of room to play in our open concept family room, kitchen, and dining room. It makes it so much easier to keep tabs on my little guy with half of our home blocked off from exploring. 6. Protect Your Drains (and your stuff!) – If you have a toddler, you’ll know that for some reason they’re attracted to the toilet bowl. I’m not sure what fascinates them so much with the toilet – but it inevitably means you’ll have lots of toys, books, and maybe even your cell phone to fish out if you’re not careful. The toilet can also be a big scare as your little one could lean and topple in, and not be able to get out. It’s the simplest fix to install a toilet lock and really means so much for keeping your little one and all of your stuff and drains safe! 7. 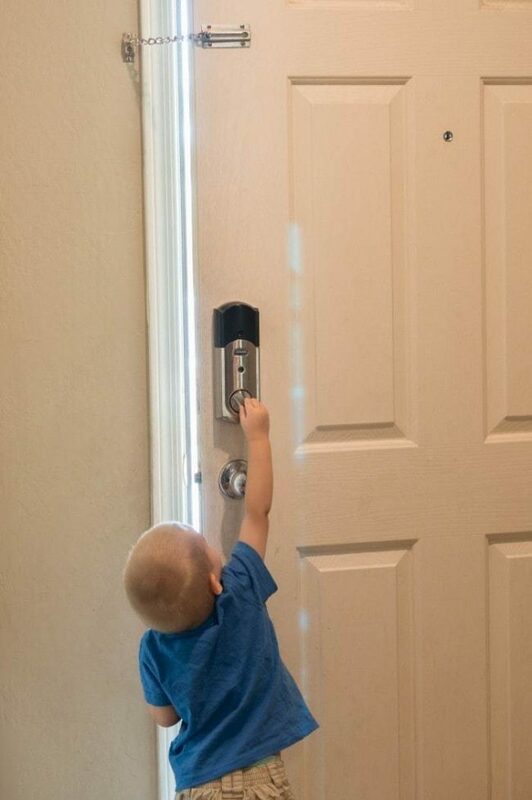 Double (Triple) Lock Your Front Door – Toddlers quickly figure out how to open up the front door, and even how to unlock the locks. Keeping them safe is as easy as installing a chain lock up high way out of their reach. Only my oldest, at 9, can reach our chain lock. That means this super cheap fix has ensured my kids stay indoors unless I’m heading outside with them through those crucial young years when they’re eager to explore everywhere they can! 8. Install Easy-to-Open (for adults!) Cabinet Locks – Installing simple push down cabinet locks goes a long way for your sanity! Without them, all of your food storage containers and pots and pans will be all over the kitchen several times a day. We have a tall cabinet that goes from the floor up to the top of our cabinets the full length. You can even lock those with the push button cabinet locks, just turn them on their side and they work the same way. I prefer the button installed locks as they are much faster to get in and out of your cabinet and you won’t lose them like you might with a sliding cabinet locks (though that style is great for grandma’s house)! 9. Give Them a Step Stool – I don’t know about your toddler, but I’ve raised all boys and every one of them has been a climber. Without fail, they’ll climb onto anything and everything – an empty laundry basket, a coffee table, a shoe box – whatever they could find would become a stepping stool. To help keep my little one safer, I combat the climbing that’s going to happen regardless and redirect them to a rubber grip step stool. It gives me the peace of mind knowing it’s not going to slip out beneath their feet and they won’t slip off the top either. By letting them have something t they can use to be just that little bit taller, it helps create a boundary that shows your child where it’s okay to climb and what they cannot climb on. 10. 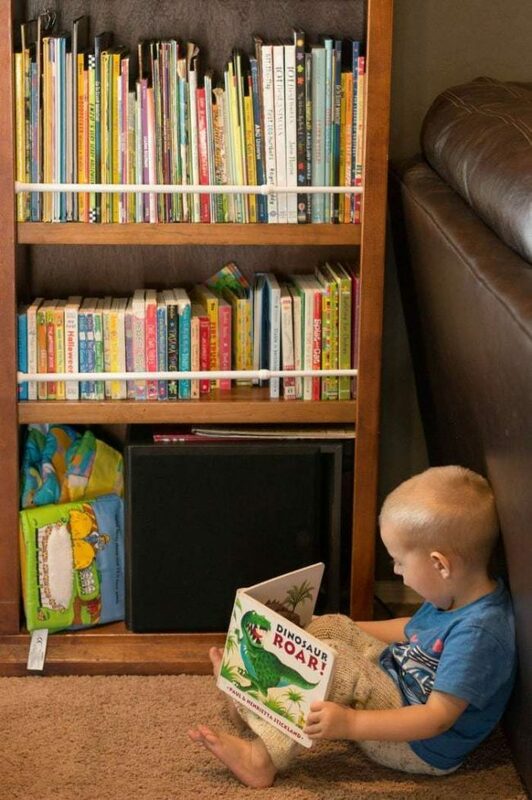 Repurpose Adjustable Curtain Rod for Bookshelves – I was so tired of my toddler constantly dumping every book off of the bookshelf, and getting hurt while doing it, I knew there had to be an easy solution. The idea came to me one day that all I need to do was install a tension mount curtain rod to my bookshelf! They make them pretty small designed to hang a curtain in your front tall and skinny windows so they’re perfect for even a small or divided bookshelf like what we have. My son can still take a book off the shelf when he wants to look at one, but it’s not as easy (or fun) to dump off all the books! Jet.com carries top babyproofing products and brands including Mommy’s Helper outlet plugs, Puj bath spout covers, KidKusion driveway guard, and baby gates and bedrails from Summer Infant, Regalo, and KidCo. No matter what area of your home needs some extra focus during Child Safety Month, Jet.com makes it easy to find all the essentials for your baby or toddler’s safety. What are your tricks for babyproofing against your toddler? These are great tips, I love the idea of attaching the outlet covers to the plug, wow i am gonna send this over to my friend. That way we knew he was secure in his bedroom, and made it a habit for him to not come out. wow i am gonna send this over to my friend. these babyproofing ideas are wonderful. she needs to look at this. I remember when my girls were toddlers. They got into everything they could. We had baby gates and cabinet locks. There is so much to babyproof. I had those exact door knob covers after my second child was able to get into everything. I also had a fridge and an oven lock as well. I love the idea of attaching the outlet covers to the plug. And I need to try the bookshelf trick. It is so important to baby proof your home. I had to rethink and change things all the time because my son kept getting into everything! Toddlers are like puppies you turn your back for a millisecond and they have managed to scale the wall! These are truly great baby proofing tips and this is a must read for any new parent! I haven’t baby proofed anything for years, but with the possibility of fostering children, I guess I need to be prepared to childproof my whole house! lol I have a feeling I’ve forgotten a LOT! Thanks for these tricks. Kids get into stuff. So you can never be too careful and I can’t imagine any household with little ones without any or all of these safety tricks in place. I remember childproofing for my babies, what a task! They always outsmart you. I love your tips! These are great tips. I remember how stressful it was when we were baby proofing our home. There are so many great products available now to help. It is so important to baby proof your home. I made sure I got on the floor and looked at everything from the baby’s perspective. Making sure your house is baby proof is so important. Number 10 is such a good idea! 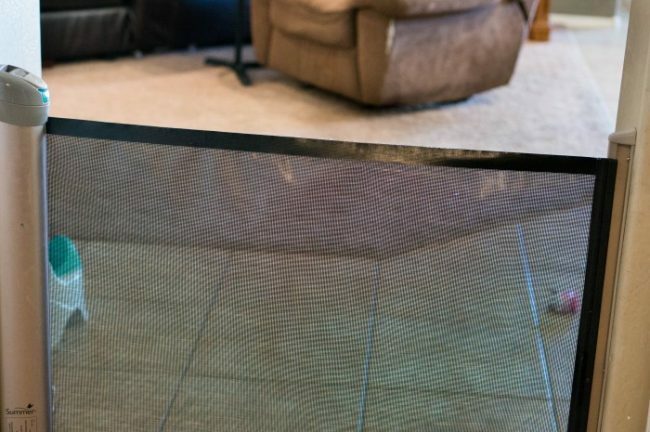 These are fantastic tips for baby proofing your home. I have a friend that is in the process of doing her home. I will have to share this with her. These are really important things to consider. It’s surprising how quickly those problem-solving skills develop. The kids will try to go anywhere they can. I use to use those door knob handles and have to say they do work well. Some days I could not even turn the handle! We’re definitely at a point where we have to babyproof everything. Right now the biggest issues are lower cabinets. I’ve tied a shoestring through the handles, but I know that’s only going to last so long. I should really get some babyproofing equipment. I’m a soon to be parent and have been trying to analyze my home to see what needs babyproofing. Your article is helping me a lot with visualizing certain rooms and how some furniture could be dangerous. These are all such great ideas. The door handle covers were a must in our house when my kids were younger. Our granddaughter just learned to crawl. We are in the process of babyproofing the house now and we need these tips. My sister-in-law is just about to have a second baby and her first one is getting into everything. I’m going to tell her about this post because I’m betting it will help her get her sanity back. Children’s safety is definitely important. These are some wonderful ideas. 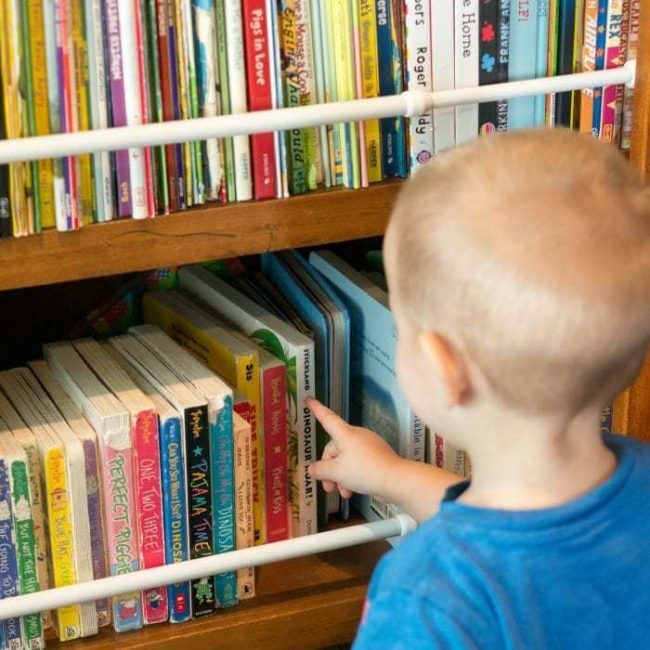 I would have never thought about using an Adjustable Curtain Rod for Bookshelves, smart idea. Thanks, so glad they are helpful! The top lock was one of the first things we did with my oldest after outlet plugs and cabinet locks! We put the door handle cover on the inside of my grandson’s bedroom door from a young age and it really helped. That way we knew he was secure in his bedroom, and made it a habit for him to not come out.